Glistering Chakra Chips Hand Made Bracelet from Natural Agate is 7in long. It is beautiful bracelet. 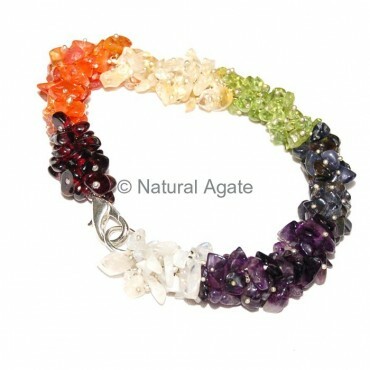 The chakra stones chips will keep your body chakras active.